Conveniently located in the Natomas area of Sacramento, this quaint neighborhood offers a relaxed lifestyle for those on the go. With parks, schools, dining, shopping, and major freeways all nearby, it’s the perfect location. NATOMAS • SINGLE-FAMILY • APPROX. 1,694 - 2,148 SQ. FT. Enjoy a gated community offering a tranquil lifestyle for your family — close to great schools, parks, shopping and walking trails. Oakbriar is life in perfect balance. ROSEVILLE • SINGLE-FAMILY • APPROX. 1,633 - 2,009 SQ. FT.
Woodbridge features luxurious one and two-story single-family residences with exceptional architectural detail. Set at Fiddyment Farm in the city of Roseville, which offers parks, dining, shopping, highly ranked schools and endless choices for outdoor recreation. ROSEVILLE • SINGLE-FAMILY • APPROX. 2,000 – 3,150 SQ. FT.
Leave it to your imagination to discover what living at Magnolia is like. Step outside your door and you'll find a vibrant world at this master planned community of University District with parks, trails and schools. ROHNERT PARK • SINGLE-FAMILY • APPROX. 1,838 – 2,342 SQ. FT.
Plant your roots in this new neighborhood of homes designed with quaint front porches where neighbors become friends. Located in the master-planned community of Mountain House with plenty of parks and schools. MOUNTAIN HOUSE • SINGLE-FAMILY • APPROX. 1,987 - 2,288 SQ. FT. Discover this charming neighborhood near Livermore Valley wine country, a historic downtown district, quality schools, parks and hiking and biking trails. The central location of this community is ideal for commuting throughout the Bay Area. LIVERMORE • SINGLE-FAMILY • APPROX. 1,783 - 2,616 SQ. FT. Discover sophisticated homes with a classic, comfortable style located at Alta in Mountain House, a master-planned community with quality schools, parks, trails and much more. MOUNTAIN HOUSE • SINGLE-FAMILY • APPROX. 2,027 - 2,350 SQ. FT.
Sycamore offers beautiful well-designed residences, including 2 single-story floorplans, plus 2 plans that include a Casita with full bath. Enjoy living in the master-planned community of University District with parks, trails, and sports fields next to Sonoma State University. ROHNERT PARK • SINGLE-FAMILY • APPROX. 1,695 – 2,600 SQ. FT.
COMING LATE 2019!  Bristol features beautiful two-story home designs with spacious great rooms, gourmet kitchens and generous master suites. This new community is perfectly located in Rohnert Park near Sonoma State University, parks, schools, and the SMART Train for convenient commuting. ROHNERT PARK • SINGLE-FAMILY • APPROX. 2,258 – 2,666 SQ. FT.